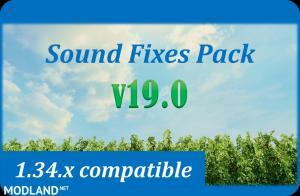 - Pack provides improvements to common sounds in the game, making them feel more immersive and real. 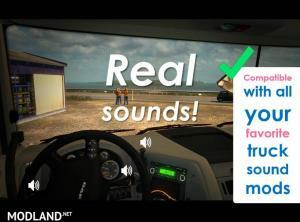 - The goal of the mod is to make the game's sounds feel like real life! * If using any of Grimes' seasonal mods, place the seasonal mod with higher priority than the Sound Fixes Pack for a more accurate seasonal experience. * Traffic density/behavior mods (in lower priority in Mod Manager) can enable realistic sound ranges plugin from Sound Fixes Pack by inserting this line into def/traffic_data.sii: @include "traffic_data_update.sui"
- any AI traffic density/behavior mods (e.g. those listed in section below)! * "Late music" replaced with Nokia phone ringtone sound (volume of this sound depends on Music volume in the in-game Audio settings). * "Bing bong" chime for train and ferry loading screen sounds. 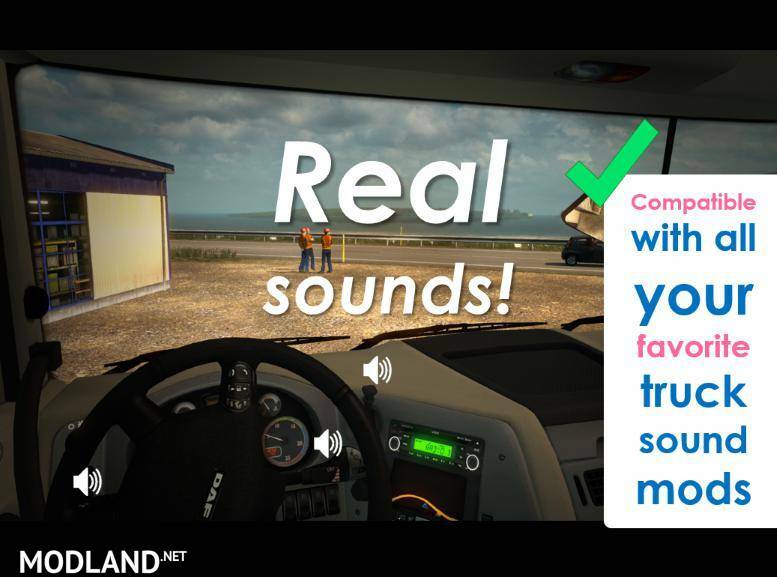 * Enabled sound for a vast amount of movers that don't originally come with sound (e.g. F22 jet fighters, ocean waves, tugboats, hot air balloons, you name it! ).